Black lace over a lining on the bodice and skirt. Bodice is V-shaped at the front. 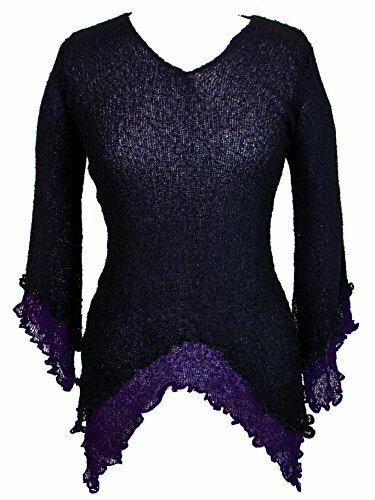 Black lace trim on the neck edge and armholes. Skirt is gathered into a waist seam. Red and green floral embroidery on the front bodice. Black lace ruffles on the hem of the skirt. Keyhole opening at the back with a black ribbon to tie. Black binding on the keyhole opening. Zip in the centre back seam. Lined. 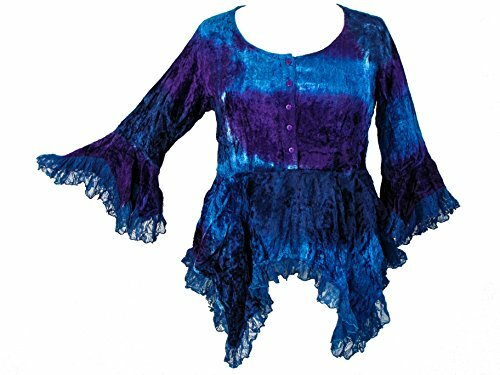 Fabric content: Shell-100% Polyester lace. Lining 100% Polyester. Wash Separately, Do Not Tumble Dry. Length (Top of Shoulder, Down) Front: 36 1/2 inches+ 2 inches of lace. Back: 48 1/2 inches + 2 inches of lace. Please read measurements carefully! Most Hell Bunny/ Spin Doctor items run a tad bit smaller than normal. Some run “true to size”, and some run a whole size smaller. We hand measure AND have a plus model try on EVERY item! Each item gets its OWN chart! Please read measurements carefully, email with any questions! *Model is wearing a 2X! 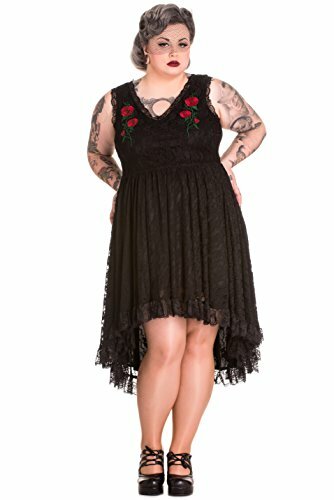 * The waist is very high on this dress, measure RIGHT under the bust for this dress only! 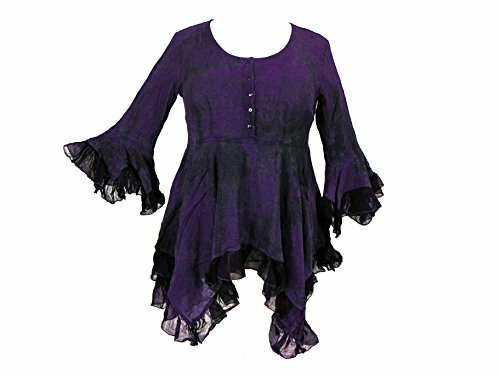 Find more Plus Size Gothic Clothing, Plus Size Dresses, and Corsets at Mystic Crypt!